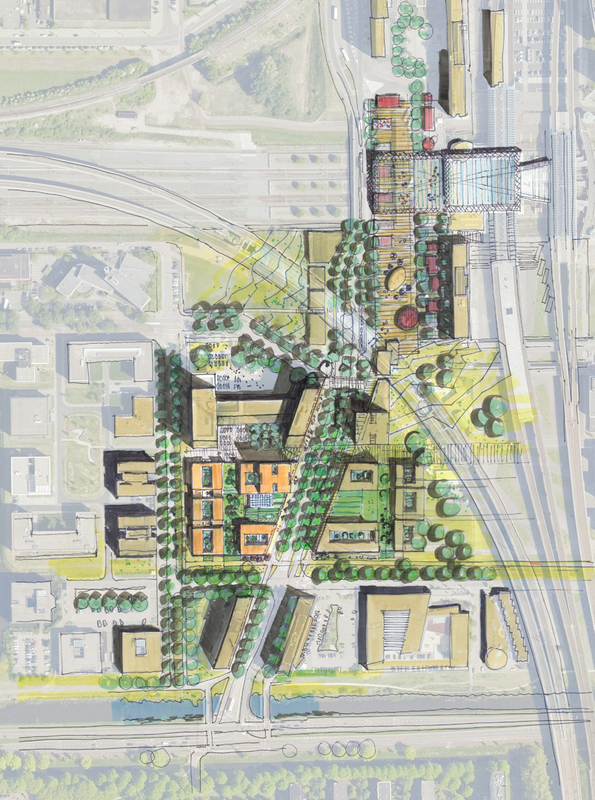 ‘De Hoge Bretten’ is a proposal for student accommodation within walking distance of Sloterdijk train and metro station in Amsterdam, and with cycling distance of the city centre. 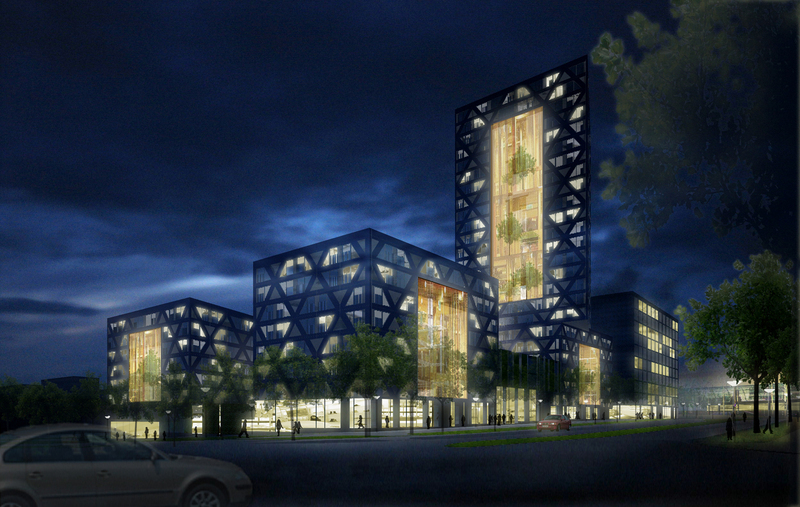 The development marks the start of a general transformation of the area from an office district into a mixed-use neighbourhood of housing, employment and recreation. 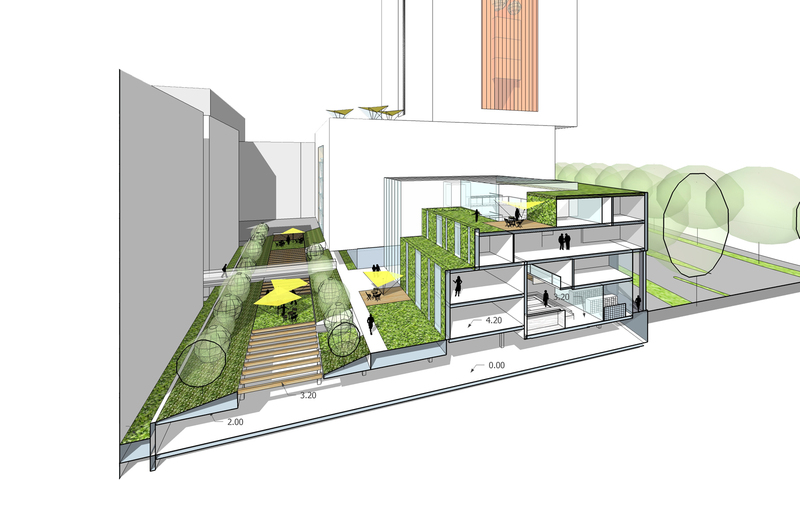 Street walls, plinths, public spaces and amenities accessed from ground level combine to create an urban quality. 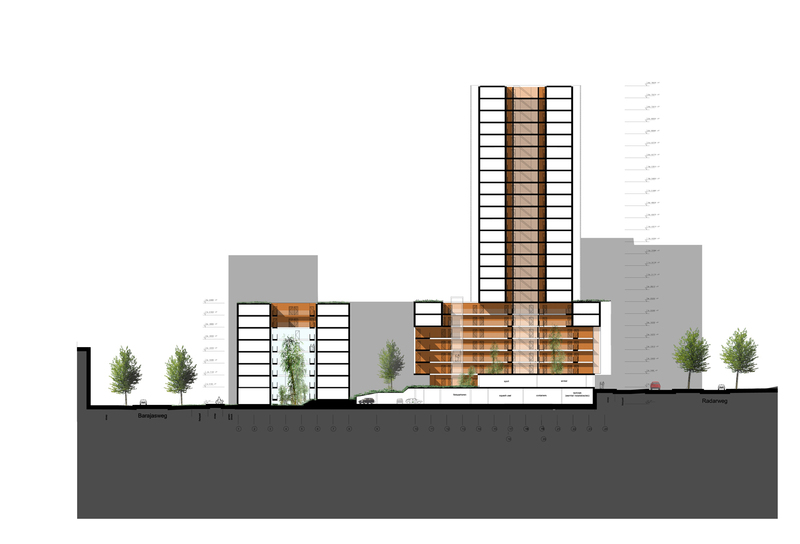 The severe noise pollution in the area prompted a special arrangement of residential blocks around the outer edges containing atrium-like spaces sheltered from the noise. 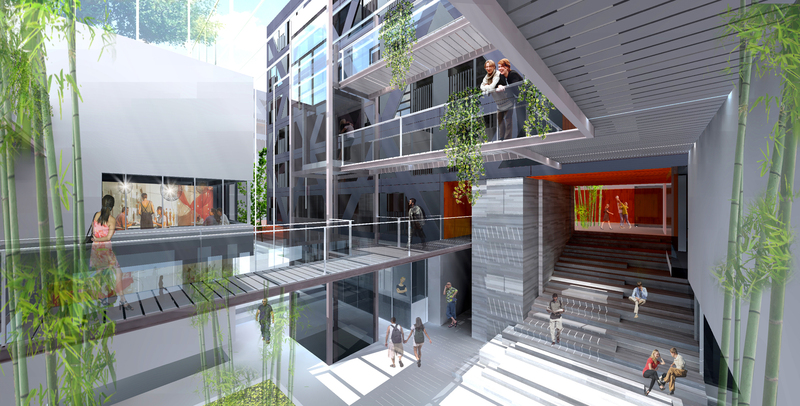 One wall of every apartment overlooks one of these quiet atriums, which are also important as shared spaces, at an intermediary scale between the entire building and the front door. 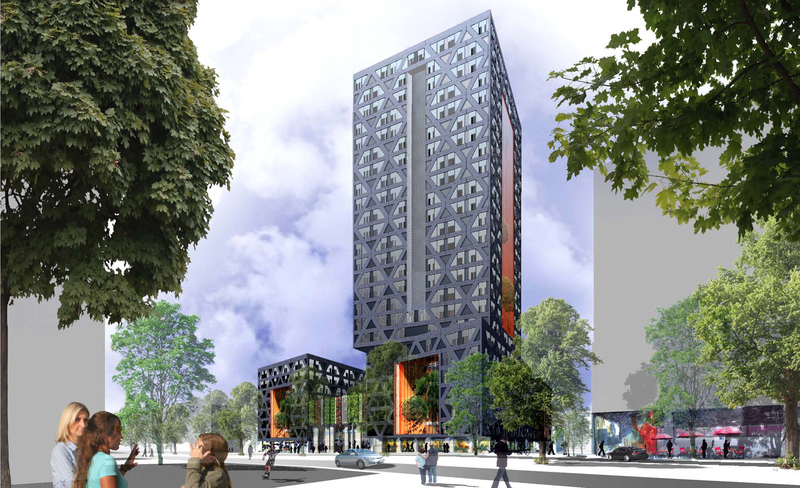 A specific hallmark of the proposal is the high level of flexibility, not only in the size of homes but also in functions, which can change from housing to commercial. The collective area near the main entrance is an invitingly designed zone that offers access to the various residential blocks, work areas and shared spaces, the car park beneath the block and the commercial amenities. 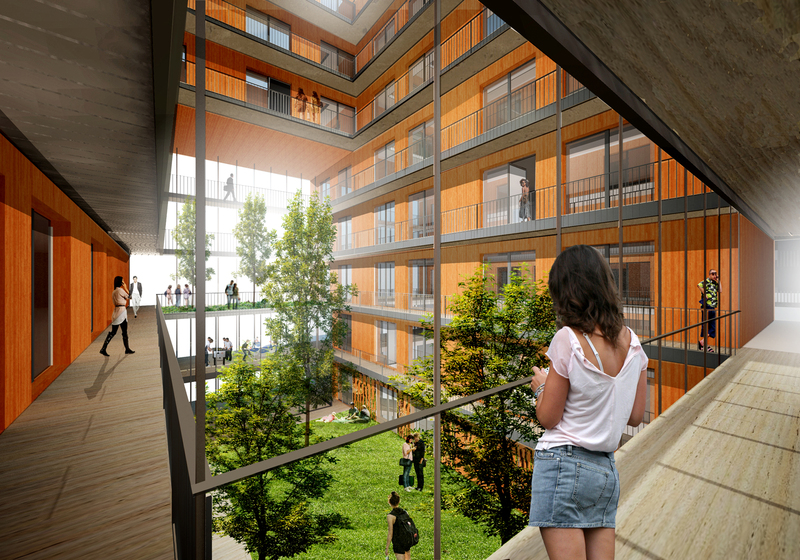 Large atriums, a courtyard and green façades strengthen the ecological ‘Bretten Zone’ under development.